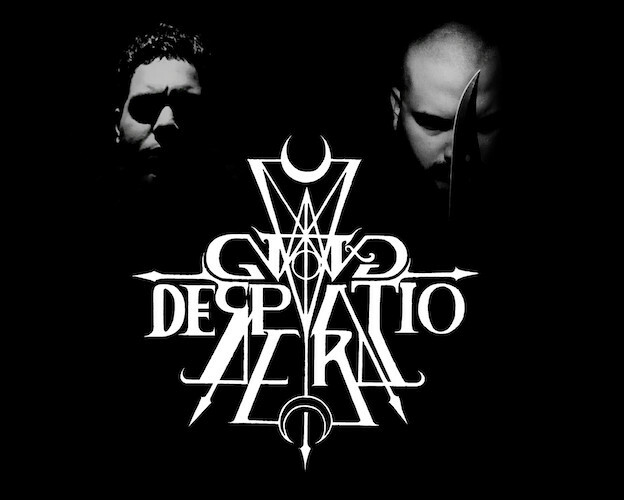 One one level, on the surface, the new album by the Venezuelan black metal band Nox Desperatio screams “Fire!” The album title — Incineratio Arcana Nocte — and many of the song titles (all of which are in Spanish or Latin) make references to flames and to burning. But other superficial clues seem to point in a different direction. The band’s own name, the evocative cover art (by Bryan Maita), and other aspects of the album and song titles, bring to mind obscurity, despair, and haunting darkness. Perhaps, then, it’s to be expected that the music on the new album combines these two manifestations. What might be surprising is how the band do do it, and how emotionally powerful the results prove to be. 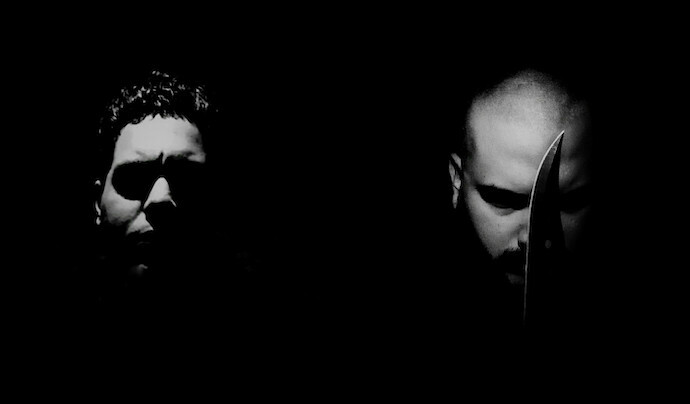 You’ll have a chance to discover that for yourselves, because today we present a full stream of the album on the day of its release by Unpleasant Records (an enterprise of one of the creators behind the fantastic Venezuelan band Selbst), preceded by a few more thoughts about the music. 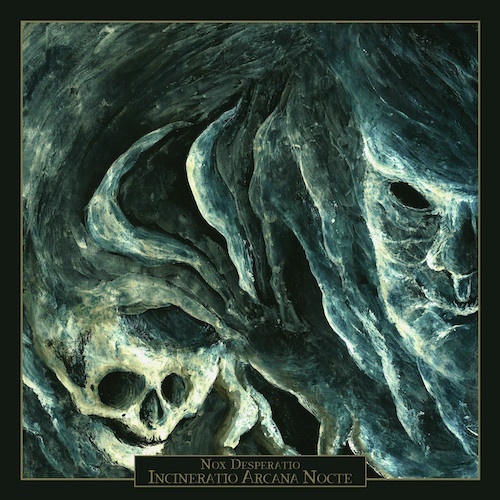 Incineratio Arcana Nocte is Nox Desperatio‘s second album, preceded by 2017’s Anima Veritas Vita Morte. It is the work of multi-instrumentalist D.V. (above, left) and vocalist/lyricist Vel (above, right), who came together in 2016. They have branched out from their original intent to create depressive black metal, but the music on the new album will still hold great appeal to fans of DSBM, even if it is a more elaborate and multi-textured affair than much depressive black metal turns out to be. The ingredients of the songs are similar across these 10 tracks, although the uses that the duo make of them change. The drums have an organic, gimmick-free sound, and the performance is dynamic and inventive, and rarely resorts to rampant blasting. The bass is vibrant, and even gets some chances to become the lead instrument (particularly in “Vetusta Voluntad Viciada”). The riffs are expressed in a raw, squalling, abrasive tone, while the leads have a high, penetrating clarity, becoming an almost gleaming presence in the music, even though the melodies are so often heart-breaking. And the vocals seem to be the result of a man who has burrowed into the deepest recesses of his memories to bring forth the most terribly painful and furious feelings, so wretched and so harrowing that they seem to tear him apart. The album is bookended by two kindred instrumental performances. The strumming of simple notes reverberating slowly over the distant roar and crackle of flames in “Incineración I” settles the mood into a gloomy reverie, and while the strumming in “Incineración II” is more lively than in the opener, it is still melancholy — and ultimately haunting. In between those bookends the band move among those varying shades of desolation and despair alluded to earlier, creating fires fueled by anguish and frustration. The music seems highly personal, and it is unquestionably powerful in how deeply it draws an emotional response. “Fuego en los Cráneos”, for example, continues seamlessly from the introductory track, and builds gradually. It catches fire in waves of high whirring guitar, thrumming double-bass kicks, and snapping snare-work, but the mood is still gloomy. It burns with a slow, searing lead, but the melody weeps, even as the vocalist issues livid, caustic snarls and shrieks. The music tears at the heart — and then the riffing writhes in agony as the drummer hammers like a frantically-driving piston and the vocalist lacerates his throat in expulsions of torture or fury, or both. Hyperactive drums and a bright and shining riff provide a moment of uplift in “Mortuus Lignum”, like the music of a joyful spinning dance (though the vocals are just as ugly and bestial as ever). But the music gradually takes a turn, as the emotional character of the riff seamlessly becomes more distraught, and then becomes more dejected as the tone falls lower in the range, before the music spins up into the realm of despair once again. This opening triptych of full songs provides a vivid display of all the qualities that make the album such a riveting (and disturbing) experience, but they don’t exhaust the variations that Nox Desperatio bring to their creations. There is soulful beauty and alluring moodiness in “Oscuridad Anterior”, for example, and nightmarish representations of utter calamity and derangement in “Vetusta Voluntad Viciada”, while “Eclipse de AM AAU” quickens the pulse with its drive. In all its variations, Incineratio Arcana Nocte keeps a tight grip on the listener’s attention, and very effectively draws you into the moods of its creators — for better or for worse. It’s well worth setting aside all the time needed to go straight through it rather than just sampling a track or two, and you’ll have the chance to do that now. Unpleasant Records will release the album in a CD Pro edition limited to 150 copies only. To buy it, check the links below. DRUMS GOT TALENTED JAZZ-FILLS. SPIRITUAL VOX, AT TIMES R&B INFLUENCED BUT FILTH-Y EXPLANATION FOR GUITAR SOUND? SOME. BUT I WAS LAID. DOWN AS SOON AS INSTRUMENTAL OPENER. THIS REAL-Y GOOD!